Gustave Flaubert’s realism novel Madame Bovary became a reaction against the Romanticism and considered as one of the turning points in the Western literature. This realism leads to the imitation not of artistic masterpieces but of the originals that nature offers. In this context, Madame Bovary provides the literature of truth. It was a genuine account of human melodrama and a desperate outcry of a woman who was ensnared in a conventional society, which expects to suppress biological and psychological needs. Although there is a little similarity between Madame Bovary and Leo Tolstoy’s Anna Karenina Gustave Flaubert deeply explores the inner world of Emma Bovary. Therefore, Emma was a more complex personality than Anna Karenina and Emma acted more boldly despite the cultural impediments imposed on her during the Victorian era. 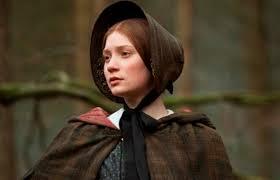 Emma Bovary was a naïve girl who was educated in a convent and she had high romantic expectations. When she married Dr Charles Bovary, she anticipated love, romance and prestige. But her expectations soon became a mirage when she found her husband was an unintelligent and unromantic and emotionally blunt man. He was not ambitious and was in a different wavelength. He was boring and clumsy. Emma hated him and compared him with other men that she uncounted. She was an attractive woman who expected be the center of attraction in the society. When she realized it was too impossible to fulfill her life dreams with Charles she wanted to runaway from her marriage. More she ran more she got trapped in an unhappy bond with her husband. Eventually she became depressed and restless. Unexpectedly she found happiness for a moment when Emma and Charles were invited for a ball. Her eyes were gazed when she saw the nobility and had the opportunity to dance with a Vice Count. It was an unforgettable night and she expected similar events in her life but it never came. With the disappointment, Emma became depressed and had various psychosomatic ailments. For Emma’s betterment Dr Charles Bovary decides to go to another town putting his medical practice in jeopardy. Although Emma is in a new surrounding, her melancholic feelings do not subside. It emerges in a new form. Emma had a daughter but she was unable to express her love to the child. Her suppressed feelings for young family friend Léon Dupuis makes her to demonstrate artificial affection to her husband Charles. It was a calamity inside and it explodes when Léon leaves to Paris to further his studies. She became isolated and gloomier. Meeting a rich and rakish landowner, Rodolphe Boulanger was a turning point of her life. Unlike with Leon this time she denies to suppress her feelings. Emma undergoes a dramatic transformation and becomes a person with a free will without a moral conscience. Rodolphe Boulanger seduced Emma and she begins to feel adulterous. Her anger, displeasure and revolt against her husband were marked by the extramarital affair with Rodolphe. Her struggles to find fulfillment through a realization of her romantic fantasies of love and wealth becomes a fiasco when she finds that Rodolphe did not want to take her with him. When Rodolphe left the town in order to avoid her Emma becomes devastated. Her depression and grief increases and finally Emma tries to achieve an unsuccessful emancipation via religion. She becomes over attached to the religion and yet found no salvation. Her isolation and repression comes to a standstill when she meets Leon unexpectedly in an opera house. This time she decides not to hide her feelings from Leon. Emma maintains a secret relationship with Leon and weekly travels to meet him. Although she lies to her husband that she is taking piano lessons, she spends time with Leon in expensive hotels. Her life has changed dramatically and from now on, everything was a lie to her. She lives in a world with fantasies and lust. Emma’s friendship with Leon puts herself further into debt. She has no life expectations except spending time with Leon. Her contempt for Charles drives her extramarital relationship in to a fathomless and aimless precipice. There was no turning back. She obtained power of attorney over Charles’ estate and ruined his wealth until his property had been detained by the bank. When Emma was in a dias traits neither Leon nor the Rodolphe helps her. Eventually Emma realized that she had no genuine friends. The people who were closed to Emma used her in a selfish manner. In utter despair and humiliation, she swallows poison and takes her own life. The scrofulous beggar’s song is the last thing she hears before she dies. Gustave Flaubert’s Madame Bovary typifies the negative extremes of the human experience and shows how psychobiological urges can affect a person despite the social norms. Flaubert penetrates the inner mind of Emma Bovary and lays out her dull feelings following a monotonous marriage. In addition, he points out the how the illusions exceed her reality. She became irresponsible in her pursuit of pleasure until the bankruptcy, which led her suicide. Madame Bovary was compelled to seek escape through forbidden relationships with other men. It was a form of stress outlet to her. She was distressed disgusted over her husband Charles and she needed retaliation from Charles for breaking her romantic dream. However, this stress outlet was a disastrous escape for Emma. It was a gamble between life and death. Gustave Flaubert’s Madame Bovary could be viewed as an expose of the situation of women in the 19th century who had no legal and accepted ways to walk away from unhappy marriages. Although she was a victim under the Victorian measurements, she became a perpetrator.